WE BELIEVE IN BRINGING OUT THE BEST IN YOUR SKIN. 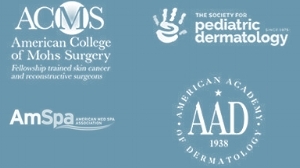 We offer a wide range of both medical and aesthetic dermatology services to address all of your skin care needs. Contact us to schedule a consultation and begin your journey to healthy, radiant skin with our aesthetic dermatology services. CoolSculpting® works based on cryolipolysis, or the biological principle that fat cells are frozen more easily than other skin cells. When controlled cooling is applied to areas of the body with persistent fat, it freezes and destroys the fat cells and leaves the surrounding tissue unharmed. Over time these cells are naturally eliminated from the body, leaving you with a slimmer, more sculpted appearance. By freezing and destroying fat cells in a controlled and painless way, CoolSculpting® can tighten, tone, and sculpt nearly any area of the body. Each application of the CoolSculpting® device lasts commonly around 35 minutes, but this can vary depending on the area being treated. The number of applications needed for the best outcome varies by treatment area as well as the patient's baseline and goals. Most patients find their CoolSculpting treatment day to be relaxing time to focus on themselves. During treatment, patients can read, watch TV, check their emails, or even take a nap! As the first CoolSculpting® certified practice in Lynchburg, with years more experience than anyone in the area, Aesthetics by RidgeView Dermatology is without question the best qualified to perform the procedure. Why take a chance with anyone less qualified? Because CoolSculpting® decreases the number of fat cells in an area, not the size of those fat cells, the improvements seen with treatment are permanent as long as patient's overall weight remains stable. Since there is a smaller total number of fat cells after treatment, the ability of the treatment area to increase in size is dramatically lowered permanently. miraDry® is a leading edge new procedure that can permanently reduce underarm sweating after a single, minimally-invasive treatment. 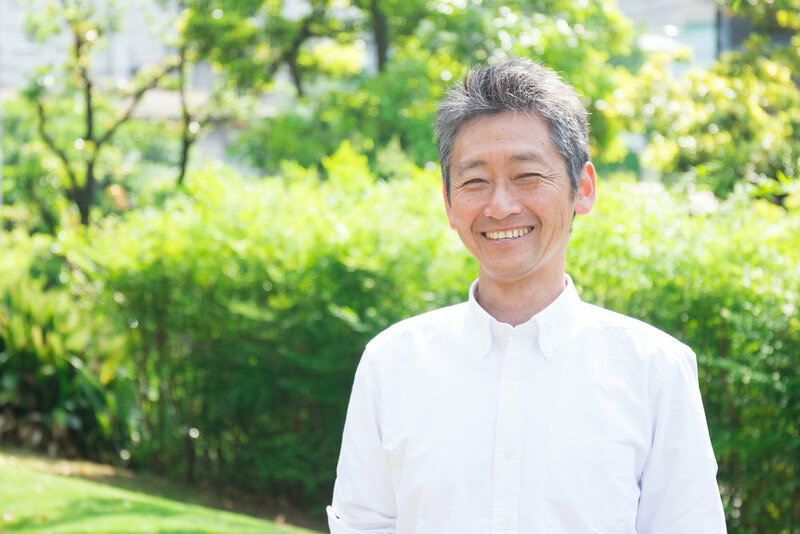 While this treatment is particularly beneficial for individuals who suffer from hyperhidrosis, or excessive sweating, it can be undergone by anyone who simply wants to stop armpit sweating. In addition to permanently eliminating underarm sweat and odor, an added benefit of miraDry® is that it can remove underarm hair. Because this hair can be difficult and frustrating to manage through shaving and waxing alone, miraDry® offers patients the convenience of never having to worry about it again. This non-invasive treatment uses the power of electromagnetic energy to target the sweat and odor glands located in the underarm area. As these glands absorb heat, they begin to rupture and die. Once these glands are destroyed, they’re gone for good. This energy affects the hair follicles of the underarm area in much the same way. As the heat is absorbed by these follicles, many of them rupture and die. These dead follicles can no longer produce hair, leaving the underarm area smooth and hair-free. Each miraDry® treatment takes about one hour to complete per arm and brings patients little to no downtime. Because the treatment area is numbed before the procedure, patients feel no pain or discomfort. Only one session needs to be undergone to receive the full benefits of this treatment. BOTOX® is one of the most popular aesthetic treatments available today. 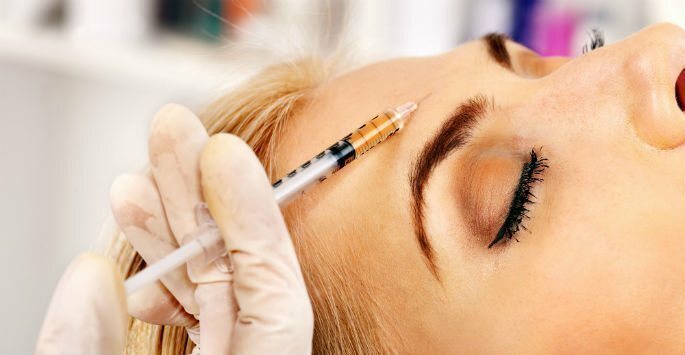 This injectable has been approved for cosmetic use in 78 countries around the world and has been the subject of 417 peer-reviewed articles and studies. Since its FDA approval in 2002, over 10 million vials of BOTOX® have been sold in the U.S. alone. While the development of wrinkles is complicated and caused by a variety of different factors, one of the most common causes of these lines is facial movement. While facial expressions are a normal part of everyday interactions, these repeated muscle movements can lead to wrinkling around the eyes, forehead, brows, and mouth. BOTOX® works by targeting these underlying muscle contractions using small amounts of botulinum toxin. Once injected into the muscles, this substance temporarily relaxes them, allowing the wrinkles above them time to soften. While BOTOX® injections are never entirely comfortable or easy to undergo, each injection period typically lasts no more than 20 minutes. Significant results manifest themselves within two days of treatment, and usually last for about four full months. After this amount of time, additional injections will need to be undergone to maintain any positive improvements. BOTOX® features virtually no downtime or recovery period. While side effects like rashes, itching, neck or back pain, muscle stiffness, swelling, and bruising are possible, these usually subside within a few days of treatment. Earn points on your Botox treatments, get special offers, and redeem your points for savings on Brilliant Distinctions treatments! When you have skin products specially formulated to address your skin type and your unique dermatological needs, you will get better results. Your skin looks and feels healthier and more youthful. Because the results of this treatment last for so long, patients have to go in for fewer follow-up appointments to maintain rejuvenated, younger-looking skin. When compared to other aesthetic treatments, the JUVEDERM® injection process is significantly more comfortable and easy to undergo. This is because it is formulated with a mild anesthetic that helps soothe the pain of injection. It's comprised primarily of hyaluronic acid, a compound that is naturally occurring within the body. Once injected into the site of wrinkles and fine lines, this substance attracts water molecules to the area, infusing it with extra volume and definition. Over time, it encourages the body to create more of its collagen, a structural protein that can make the skin smoother, tighter, and tauter. Each session takes about 20 minutes to complete and involves little to no downtime. While side effects like redness, pain, swelling, bruising, itching, and skin discoloration are possible, these usually subside within a few short days of receiving treatment. 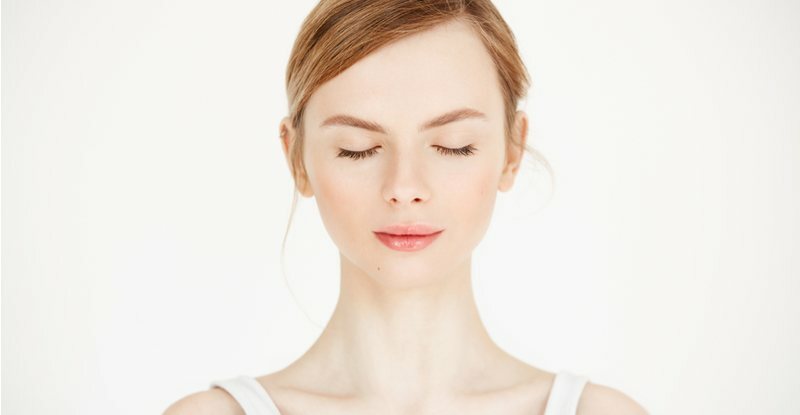 KYBELLA® is the first injectable treatment that is FDA-approved to treat submental fullness, the clinical term for a “double chin.” Through a short series of injection sessions, patients can see significant improvements in the appearance of their chin fat without the need for surgery or extensive downtime. This product is made of deoxycholic acid, a chemical that naturally occurs within the human body to aid in the breakdown and absorption of dietary fat. 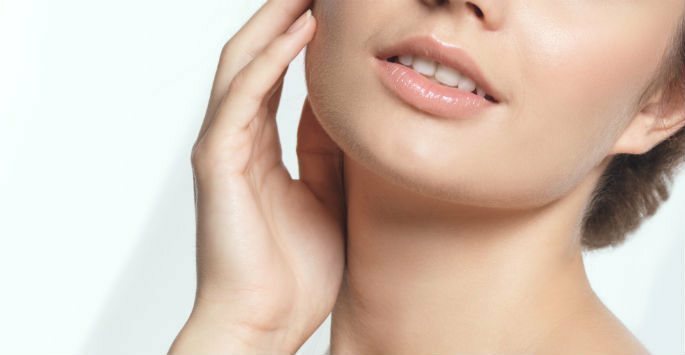 Once the refined acid is injected into the chin, KYBELLA® begins breaking down the fat there. Over time, this fat is removed from the chin, resulting in a sleeker, slimmer profile. Because the overall number of fat cells in the area is decreased, the results that patients get from KYBELLA® treatments last for years. Each treatment takes between 15-20 minutes to complete and involves no period of significant downtime. However, it’s important to keep in mind that side effects like bruising, numbness, redness, and tingling in the treatment area are common. Most patients also experience some degree of swelling that can last for a week after each injection session. Patients need to undergo between two and six injection sessions to get the most out of their KYBELLA® treatments. This number varies depending on each patient’s unique condition and state of health. Earn points on your Kybella treatments, get special offers, and redeem your points for savings on Brilliant Distinctions treatments! Part of the JUVEDERM® family of products, VOLUMA® is unique among hyaluronic acid-based dermal fillers. This is because it is the only dermal filler of its kind that is FDA-approved to restore volume in the cheeks. While many people don’t think of the cheeks as an area affected by the signs of aging, loss of volume there over time can lead to wrinkles, fine lines, and an older-looking, less attractive appearance. A single simple and easy injectable Voluma® treatment can leave patients looking years younger for up to two years without downtime or prolonged discomfort. Much like traditional JUVEDERM® injections, VOLUMA® uses hyaluronic acid to infuse the cheeks with extra volume and support. This support not only adds volume to cheeks that have become sallow or sunken in; it also corrects other imperfections in the surrounding areas. This makes it perfect for both women and men interested in receiving a cosmetic treatment that gives them subtle, natural-looking results. Because VOLUMA® is formulated with lidocaine, a mild anesthetic, the pain of the injection process is significantly more tolerable than many other similar treatments. Each injection session typically takes no more than 15 minutes and brings results that have been proven to last for up to two years. These long-lasting results require significantly fewer follow-up visits than competing injectables, giving patients the improvements they want without the frequent visits to the doctor that they don’t. Downtime associated with this treatment is virtually non-existent. While side effects like tenderness, swelling, bruising, redness, pain, and itching are common, these are almost always mild and subside within a few days of receiving treatment. Earn points on your JUVEDERM VOLUMA treatments, get special offers, and redeem your points for savings on Brilliant Distinctions treatments! This safe and effective injectable treatment can help plump the lips to match your aesthetic goals. Lipstick lines can also be smoothed out. For people over the age of 21, this treatment option may be your solution to younger-looking lips. Using an ultra-fine needle, this clear gel dermal filler is injected into and around the lips. Upon injection, JUVEDERM VOLBELLAⓇ can temporarily plump the lips and fill in lipstick lines that surround the mouth. This effective formula contains lidocaine gel to provide patients with a comfortable treatment experience as well as helping to reduce any sensitivity to pain. Immediately following injection, patients can notice any perioral lines around their mouth begin to smoothen as well as a volume increase in their lips. Each patient will experience a different length of these amazing results. Depending on your body chemistry, JUVEDERM VOLBELLAⓇ results can last as long as an entire year! Earn points on your JUVEDERM VOLBELLA treatments, get special offers, and redeem your points for savings on Brilliant Distinctions treatments! The two main benefits to laser hair reduction are speed and accuracy. Because the laser can target multiple hair follicles at one time, laser treatments can be completed in as little as 15 minutes, while the accuracy of the lasers ensures that only the appropriate areas are targeted while the rest of the skin remains relatively unharmed. Once you have scheduled your appointment, avoid waxing, electrolysis, and plucking leading up to the procedure. Avoid prolonged sun exposure as well. During the procedure, you will be given a cooling gel which will help the process be more effective to the hair follicles. Once the laser treatment begins, it may last anywhere from 15 minutes to an hour. There is no recovery period for laser hair reduction, and side effects have been described as closely related to having a sunburn. Aloe gel and cold compresses may need to be used in the hours following treatment. One of the major benefits of laser treatment is its accuracy. You can target a few specific parts of your face, or you can have your entire face done. If you are targeting only a few wrinkles around the eyes or your mouth then the only thing the doctor will need to do is apply a numbing gel or local anesthetic. If you are getting a larger area worked on, your doctor could employ the use of nitrous oxide or general anesthesia. Refrain from taking any medication that can affect the flow of blood within the body. This includes aspirin, ibuprofen, and some vitamins. This will ensure that your body has all the tools it needs to heal from the laser and to grow the new cells. If prescription medication cannot be removed or reduced, inform a member of our medical team. Depending on how much skin is receiving treatment, the process could take anywhere between 45 minutes to a couple hours. Immediately after treatment, your doctor will apply a healing cream and a bandage. Once you leave the office, it’s important to monitor this bandage and clean it when appropriate. You will also need to apply a petroleum jelly-based or topical cream to the area in order to help protect and heal the affected skin. You may experience some swelling, itching, tingling, or stinging in the area. It’s also common to have some peeling in the affected area a few weeks after treatment. PRP stands for "Platelet Rich Plasma," and is a method of rejuvenating the skin using your blood’s plasma. This plasma is what already gives your skin a youthful look, and by adding additional plasma to the face you can see noticeable results in just a few visits. PRP for facial rejuvenation smooths out the skin and brings back its natural-looking plumpness by using the parts of the blood that stimulate the cells and encourage growth. Unlike dermal fillers, which are made of solid materials and are used as a replacement for your skin’s natural collagen, PRP uses your body’s own plasma to encourage collagen growth and replace old skin cells with brand new ones. The first step to rejuvenating your face with PRP is to get your blood drawn. The drawn blood is then put into a centrifuge and the plasma is separated and removed. The plasma is injected back into your face at specific points. The process can be completed in about an hour and features no downtime or recovery process, which makes PRP ideal to fit in your busy schedule. There may be some soreness, swelling or redness at the injection sites, but these symptoms are mild and wear off within an hour or two. PRP results are best seen after multiple treatments. Initial results are seen in as little as one month after treatment. PRP stands for “Platelet Rich Plasma” and it involves using your own genetic makeup to stimulate hair growth. The first step in this process is taking a small sample of blood. Once the blood is collected it’s put into a centrifuge and spun until the plasma is separated from the rest of the blood. This plasma is then collected and put into storage and can be used to help rejuvenate your face, or to stimulate hair growth.Because the plasma is naturally occurring, you never have to worry about an allergic reaction or your body rejecting the treatment. The biggest benefit for using PRP for your hair restoration is the fact the plasma is coming from your own body. Using your body’s natural plasma reduces the chances of an allergic reaction or a rejection to basically zero. The plasma also strengthens the hair surrounding the injection site. There are two parts of the process in which you might feel pain: The blood collection and the introduction of the plasma back into the system. While the blood collection isn’t complicated, it’s the same process used at a blood bank or your primary care physician, it does involve a shot. The second point of pain could occur when the plasma is put into the hair follicles. In order to stimulate hair growth, the plasma is injected directly in the hair follicle. Your doctor will use a numbing agent and make the process as painless as possible, but after the procedure is complete the head is often sore or sensitive to the touch. Asclera® is a prescription medication used during sclerotherapy procedures. Sclerotherapy is a non-invasive technique for treating spider and reticular veins through a simple injection process. This treatment can be used to eliminate uncomplicated spider veins and uncomplicated small varicose veins, improving the look and feel of the patient’s skin. Eighty-seven percent of the individuals that undergo this procedure report being very satisfied or satisfied with their results. During a sclerotherapy procedure, Asclera® is injected into the problem vein. Once inside the vein, the solution begins to damage the cells lining the blood vessel. The blood platelets and cellular material there begin to clump together and attach themselves to the lining of the vessel, blocking it entirely. After enough time, the blood vessel clots and is replaced by the body’s own tissue. Each treatment takes between 15-45 minutes to complete depending on the number of veins being treated and the severity of each. Once the session is over, patients are required to wear compression stocking or support hose for 2-3 weeks. While some people are able to eliminate their spider or varicose veins after one treatment, others require multiple injection sessions. These must be spaced 1-2 weeks apart. Immediately following a treatment session your skin will look more radiant and have a youthful glow to it. Micro-needling improves the skin at a cellular level, so the full results of this treatment develop gradually over the course of several weeks as the newly formed collagen develops. The results of micro-needling can continue to develop for up to six months after a treatment session. Many patients can experience improvement in the quality of their skin with a single micro-needling treatment. In order to achieve maximum results of micro-needling treatments, we recommend a series of three to six treatments spaced four to six weeks apart. Some patients may require more treatment sessions depending on their skin concerns, the condition being treated, and goals of treatment. During your consultation, we will review your skin type, skin concerns, and desired results, and create a customized treatment plan that best suits your needs. You may experience some mild, temporary redness, similar to a minor sunburn, in the treatment area immediately after your treatment session. This facial redness typically resolves on its own within two to four days of a micro-needling treatment. A chemical peel is a rejuvenation technique that can be used to improve the health and appearance of skin on the face, hands, and neck. Over time, this treatment causes the uppermost layer of the skin to peel off, revealing younger, healthier-looking skin underneath. When compared to other cosmetic treatments, chemical peels are one of the most effective and least invasive ways to rejuvenate the skin. They are fast and relatively inexpensive ways to promote collagen growth. As additional collagen is formed, the treatment area becomes tighter and more evenly colored than before, promoting long-term skin health and wellness. Before treatment, each peel is specially tailored to meet each individual’s cosmetic goals and skin health. While superficial peels often have a short, minor period of downtime, deeper peels feature a longer recovery period. The strength of each chemical peel determines exactly what cosmetic issues are addressed: minor peels can subtly enhance skin health and refresh the patient’s appearance, while deeper peels can improve the appearance of wrinkles, fine lines, and discoloration. 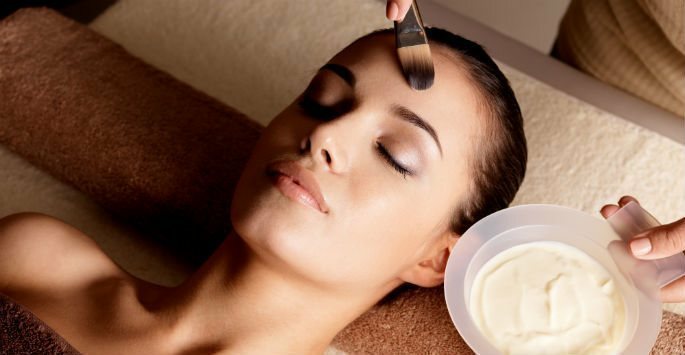 Facials are one of the first treatments that people think of when they think of relaxing and effective spa treatments. They work best when they’re part of a successful, well-balanced routine skincare regimen. Facials can be an excellent and soothing way to maintain clear, healthy skin. Treatment begins with a skincare consultation, during which the patient discusses both the current condition of their skin as well as their overall treatment goals with their esthetician. Once the consultation is complete, the esthetician begins to cleanse the patient’s skin. This helps remove any makeup and debris from the skin’s surface. The esthetician will then examine the patient’s face closely to determine if they have dry, oily, combination, sensitive, or normal skin. The esthetician slightly adjusts each patient’s facial to work well with their unique skin type. Nufree Nudesse is not a wax. It is an anhydrous, soy-based botanical formula. This wax alternative has been used in the medical aesthetic industry for over 35 years and has been proven safe and effective on all skin types and body areas. It is free from wax, sugar, and honey, and does not stick to the skin, reducing the risk of damage or abrasion to the skin and eliminating any post-treatment redness or swelling in the treated area. Immediately following a treatment session, we will apply finipil, an antiseptic cream, to the treated area to cool and soothe the skin and destroy any bacteria that may be present. Finipil can also help prevent ingrown hairs and, if used daily, can help slow down hair regrowth. With repeated treatment, Nufree Nudesse can significantly reduce hair regrowth to the point where you may only require one or two treatments a year. Eyebrow tinting is a convenient, longer-lasting way to get the thick, pigmented brows you want without having to adjust their size, shape, and color by hand. All of our eyebrow tinting treatments are administered by an experienced aesthetic professional. Before treatment, patients are able to work with this professional to decide what shape, tint, and thickness they’d like their eyebrows to be. These changes are then applied to the patient with a careful, artistic precision. Many of the patients that choose to undergo eyebrow tinting procedures are extremely pleased with the appearance and convenience of their treatment results. Giving your lashes a subtle enhancement with lash tinting is an effective way to bring attention to your natural beauty. 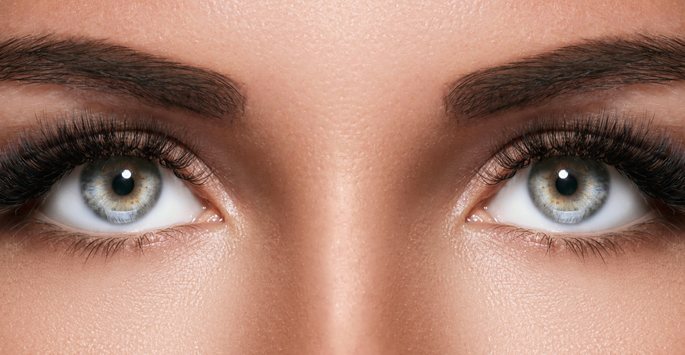 Our lash tinting involves safe and natural-looking tints to bring out the best in your lashes. Results can last for weeks; ask us about this treatment option during your consultation. Lash lifting is a unique technique that uses silicone pads to lift, straighten or curl your eyelashes in addition to lengthening them for a fuller, luscious appeal. Lash lifting is a great alternative from eyelash extensions as well as certain eyelash cosmetics! Typically, patients can see results of thicker and glamorized lashes for between 6 and 8 weeks. Lash lifting is completely safe and virtually painless. Prior to the treatment, we will ask that all patients that are wearing contact lenses to remove them. Throughout the lash lifting procedure, all patients will have their eyes closed for proper treatment application.